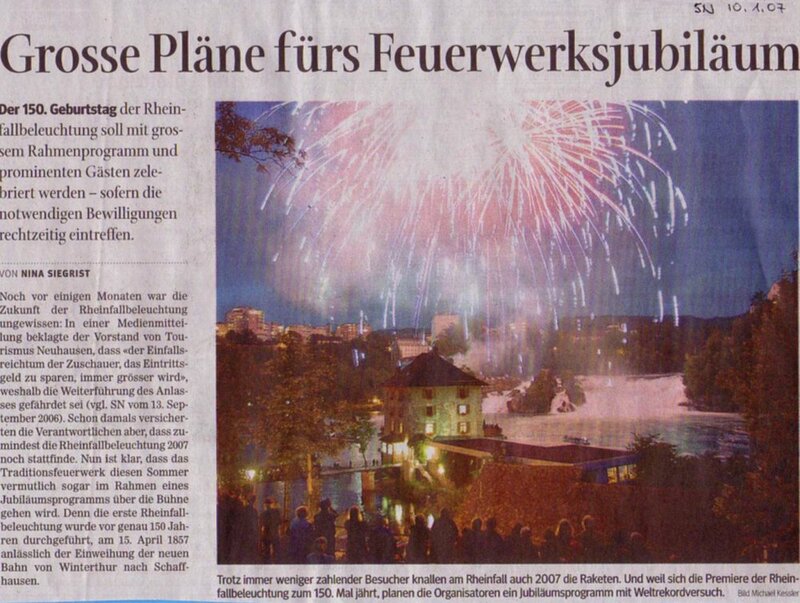 Schaffhauser Nachrichten article of january 10 2007: big plans for the anniversary. Also in the year 2007, rockets will be launched at the rheinfalls. The organisators plan a world record.